2426 Henrietta Rd, Birmingham, AL.| MLS# 803078 | Richard Jacks UABLIVING.com 205-910-2297 | Birmingham AL Real Estate | Contact us to request more information about our Homes for Sale in the Birmingham AL area. 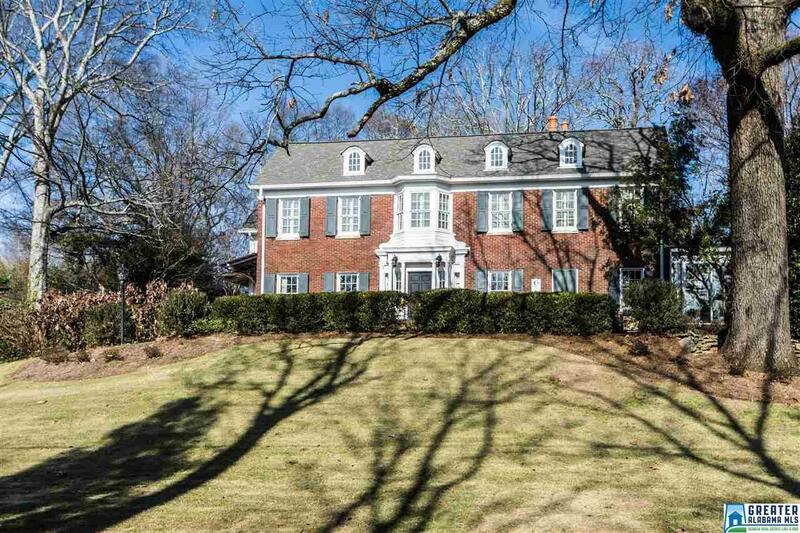 This Redmont, Georgian brick home boasts charming, spacious rooms and is perfect for entertaining. Features include an eat-in kitchen with island and an AGA English range, tall ceilings, hardwood floors throughout and picturesque courtyard terrace with fountain. The bathrooms have been beautifully renovated in white marble. The master bathroom has his/her sinks, built-in drawers, a lovely bathing area and large separate shower. The cozy den has wood paneled walls, built-in bookshelves, a gas log fireplace and a bay window. Other amenities include 10 Bevolo exterior lanterns, stairway leading to walk-in attic, and generators for the main and backhouse. The backhouse has multipurpose rooms, a full bathroom and a temperature controlled 1,200 bottle wine storage closet. It has been designated a historic home by the Jefferson County Historical Commission (The Hiden House, c.1923) and featured in Birmingham Home & Garden Magazine and the book "Worthy of Remembrance: A History of Redmont". Driving Directions: From English Village Take A Left Onto Lanark. At The Top Of The Hill Take A Left Onto Aberdeen And Quick Left Onto Henrietta Road.